Hey, everyone! Today I've got my August and September recap. It's been a while since I've updated; I'm probably, right now, in a relationship best described by Katherine Locke, who once wrote that she wasn't in a relationship because she was in a relationship with her ambition. I've started grad school, and I really just want to get ALL THE THINGS done, from work done in my old lab to work now in my new lab. I also moved across states July/August, so you could say that I'm still "catching up" with everything... new people to meet, new places to go, new everything. Which is why I haven't been reading or updating as much, but looking forward to getting back into it all!! Let me talk about what I have read recently! 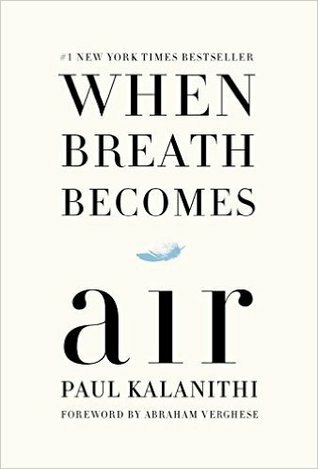 First up on the list - not physically shown in the video - is When Breath Becomes Air by Paul Kalanithi. It's a memoir written by a neurosurgeon who was dying from cancer and then died before finishing writing the book. A sort of memoir, I should say, because it doesn't go into ALL of his life-- but more on his speculations about life. Paul wanted to be a writer at one point in his life, and it shows. His writing is gorgeous. One of my favorite phrases: The brain is the crucible of identity. 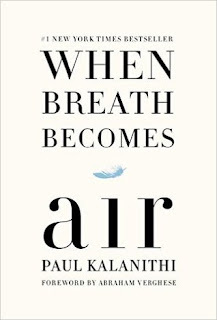 I loved this book not just because I could identify with Paul (neuroscience and writing are two of my passions as well) but also because he wrote so beautifully on coming to terms with his pending death and wondering about the meaning of life. I'm not a memoir person, and I enjoyed this, and I'd recommend this to all of you. Next we have And I Darken by Kiersten White, which I haven't finished reading just yet but is by far my favorite of her books so far. I used to count White among my favorite authors when I was younger because her style matched my reading tastes; as I got older, we had more of a mismatch. There is no mismatch here, with And I Darken. 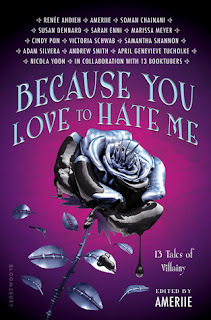 It's hard to imagine the author of Paranormalcy, something light-hearted and bubbly, writing a bloody, brutal tale with high fantasy politics, but she did, and succeeded, and these characters are AMAZING, her best yet probably. Highly recommended from me, especially if you've enjoyed any of Kristin Cashore's books or are truly looking for a teenage Game of Thrones (but mind you: part of the book focuses on the characters' childhood, so some might find that "slow"; if you're not among that number, GET ON THIS BOOK!!). I haven't read the following two books, but they were recently released, and I'm looking forward to getting to them: Crooked Kingdom by Leigh Bardugo and Sacrifice by Cindy Pon. As I said in the video, I actually filmed two videos in August (summer book haul & bookshelf tour), but I never got around to editing those, and in the book haul I showed off the Crooked Kingdom tattoos, sampler, and socks that I'd received. I'd planned on hosting a giveaway for those-- might still do that. But the point is that Crooked Kingdom was recently released, and you can now read it too! You can also read my review of Six of Crows, to understand my excitement for its sequel. Sacrifice is the sequel to Serpentine. In my Epic Reads Book Shimmy Awards Nomination post, I said: "I enjoyed and reviewed Serpentine, and included Skybright in various lists about brave heroines. At its core, Serpentine is discussing what it means to be Other; with our patriarchal society marginalizing the voices of those who fit the aforementioned diverse label, well, Serpentine also seemed perfect for this category. Plus, y'know, the exploration of Chinese folklore, and a non Western-centric fantasy." 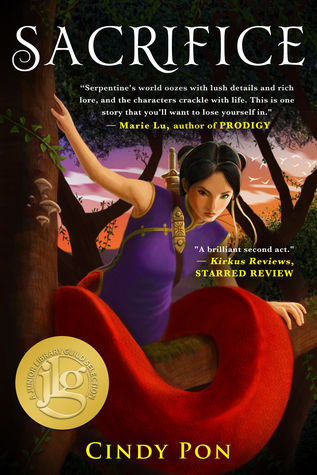 I added Serpentine to my Best Books of 2015 list too. So suffice it to say that I'm looking forward to reading Sacrifice, and I'd urge all of y'all to read Serpentine ASAP as well! Tahereh's MG debut! Tahereh Mafi wrote beautifully in the Shatter Me trilogy; curious to see what she'd do next. Do love the MG adventure + fantasy feel in this book (plus how MG generally combines adventure, fantasy, friendship, etc.). I was first and foremost drawn in by the beautiful cover. But the premise of being able to "jump into books" sounded really cool, and I believe this is a translated version of a successful book abroad, so that's also an enticement. The premise reminded me of Once Upon a Time, which was entertaining even if it had quite a few flaws. Always looking for new adult UF, and someone updated their GR feed for this one. Can't remember who, but this sounded right up my alley. Can't remember what else I've read by Octavia Butler, but her writing is gorgeous; she's been nominated for the Hugo and Nebula, and this was chosen by the Women in Science and Engineering science fiction book club, so I was intrigued to say the least. A friend sent this to me as a sort of "housewarming" or "welcome to grad school" gift. Every time I was in the Strand, I'd pick this book from the shelf and debate whether I was going to buy it that day or not. My friend solved me that struggle-- can't wait to read! So those are the books that I've read recently and that I've purchased or received. Have you read any of these? Are you going to read any of these? Want to read any of them with me? How have your August and September been going? Let's chat!